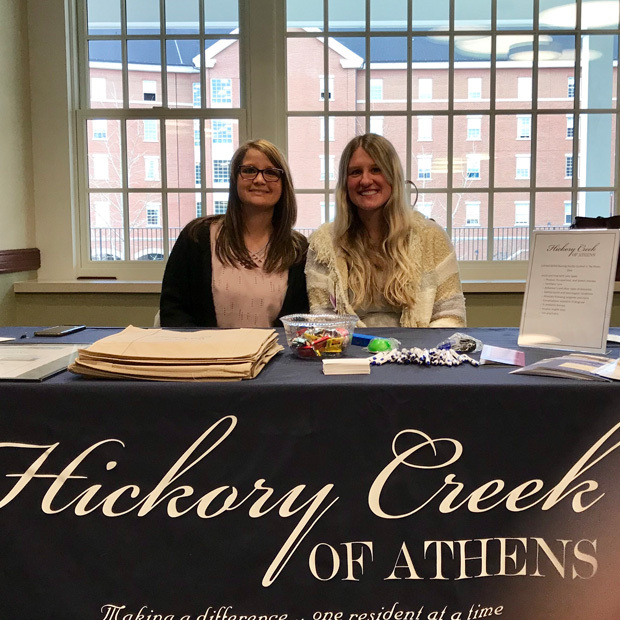 Our Social Worker, Samantha Moon, attended an event at Ohio University to recruit a Social Work student. Ashley in Admissions also attended the event. This was an informative experience and hope that we were able to help some of the students! This was a great opportunity to connect with other local agencies and to invest in our future social workers! We love our community and how we can connect together. We are committed to the highest level of quality, customer service, and creating a "Culture of Care" - inside of Hickory Creek and in our community as well. With strong Christian values and heritage, Hickory Creek of Athens and its parent company, Foundations Health Solutions, are committed to serving our communities with the highest level of clinical excellence and resident satisfaction, along with a strong employee culture which places priority and resources on the direct caregiving team.